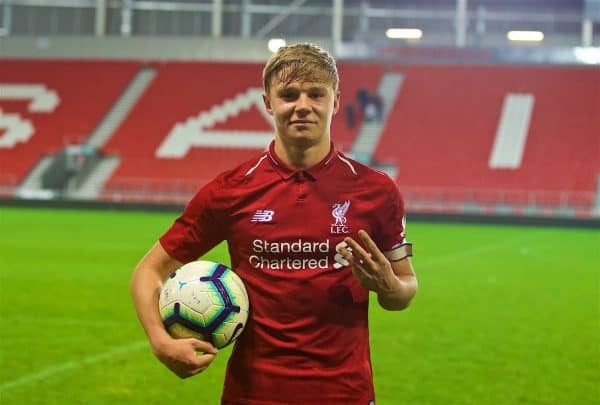 Paul Glatzel bagged a hat-trick as Liverpool U18s eased to a 4-0 win over Accrington Stanley U18s on Monday night, booking their place in the FA Youth Cup fifth round. 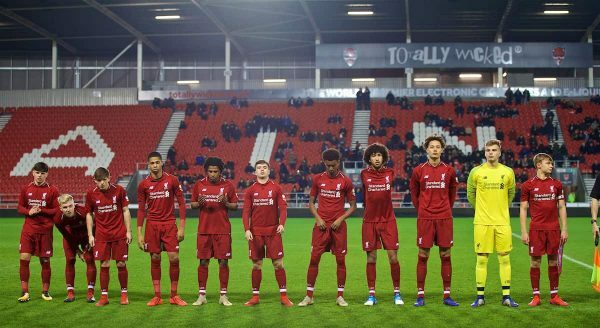 The young Reds were looking to make it through to the last 16, having beaten Portsmouth 3-2 in dramatic style in round three. Barry Lewtas made just two changes to the side that defeated Sunderland 1-0 in the U18 Premier League, with Jake Cain and Fidel O’Rourke making way for Elijah Dixon-Bonner and the fit-again Bobby Duncan. Duncan’s return felt particularly pivotal, as he led the line with partner-in-crime Glatzel. Accrington missed a golden opportunity to open the scoring almost straight away, as Charlie Ridge missed with the goal gaping. Duncan was denied by Toby Savin soon after, having been sent clean-through, and Dixon-Bonner fired over after being perfectly teed-up by Glatzel. The busy Savin kept out strikes from Glatzel and Luis Longstaff, as those present at the Totally Wicked Stadium witnessed an action-packed start. 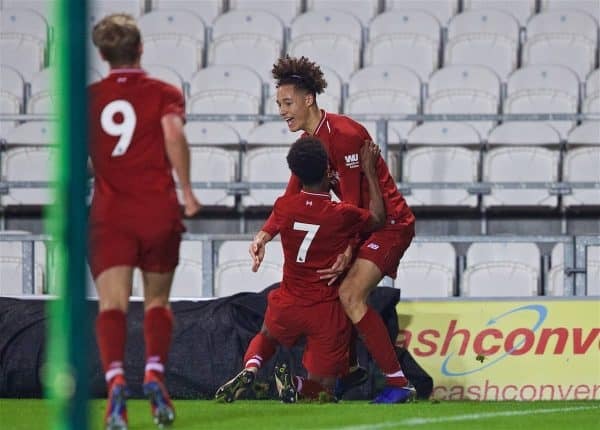 Liverpool went in front in the 25th minute, after Rhys Williams planted a header into the corner, following a superb Leighton Clarkson cross. Dixon-Bonner fired wide as the Reds completely dominated the game, although Vitezslav Jaros made an important save to thwart Lewis Gilboy. Clarkson, impressing greatly, tried his luck from distance and Glatzel couldn’t quite get a shot away, but Liverpool’s lead was doubled by the latter just before the break. 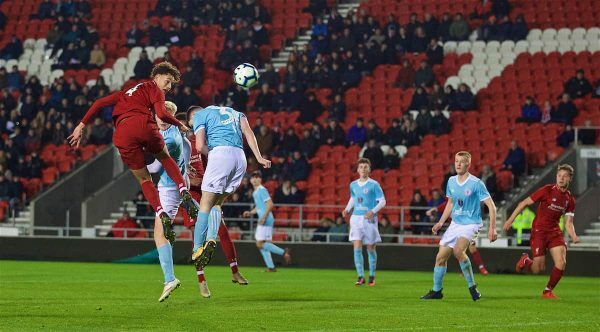 The Liverpool-born striker guided a header every bit as good as Williams’ into the net, as Lewtas’ side left the pitch in complete control. Dixon-Bonner again curled wide of the target soon after the restart and Ridge couldn’t beat Jaros. Duncan somehow didn’t put the game bed just before the hour mark when his close-range effort was kept out by Savin, and Gilboy missed a chance to reduce the arrears. Glatzel got his second of the evening with 13 minutes remaining, getting on the end of lovely Duncan pass before finishing into an empty net. It put him level with his strike partner on 19 goals for the season, but he swiftly made it 20 late on, completing a clinical hat-trick and sending his side through in style. Liverpool’s passage to the fifth round was about as smooth as it gets – they will host Wigan Athletic in the last 16 on February 9.